The Aura Comfort Plus electric outdoor radiant infrared patio heater is designed to provide 64 square feet of warmth to your patio, deck and favorite outdoor space. The heating technology warms people and not the air making the AURA heater 90% efficient in converting energy into directional, virtually wind proof comfort heat. 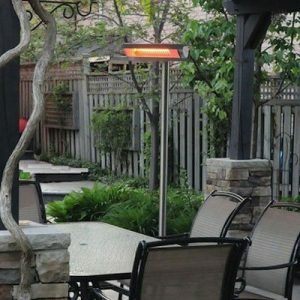 The 1500W quartz infrared heater is weatherproof meaning it can be left outside regardless of the conditions and is equipped with a convenient on/off switch on the main post. 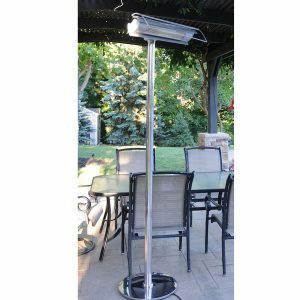 The stainless steel post is engineered with 3 easy to assemble post components for a smooth, clean look and bolted to a weighted stainless steel base, with some assembly required. 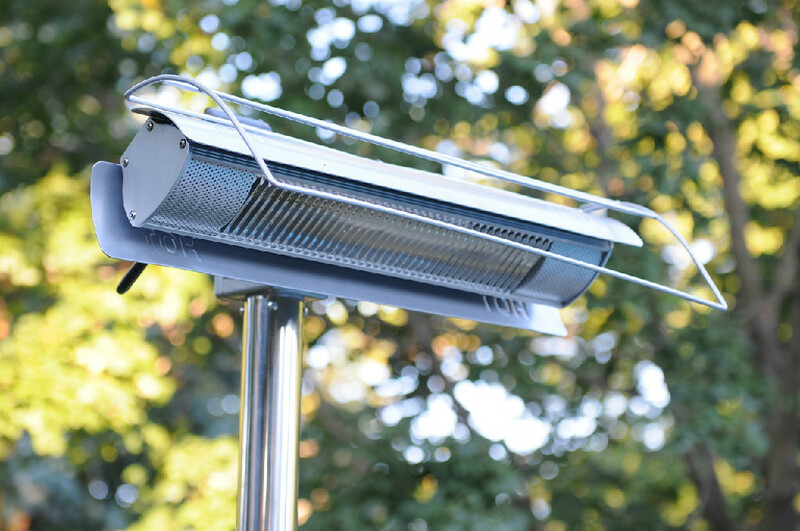 The heater is equipped with a tip over switch to automatically cut off power supply to the heater in the event of fall. 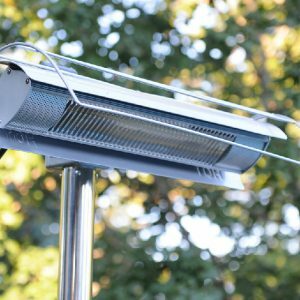 The engineered medium wave emitter lamp provides a warm area glow and is tested to last more then 4,000 hours. 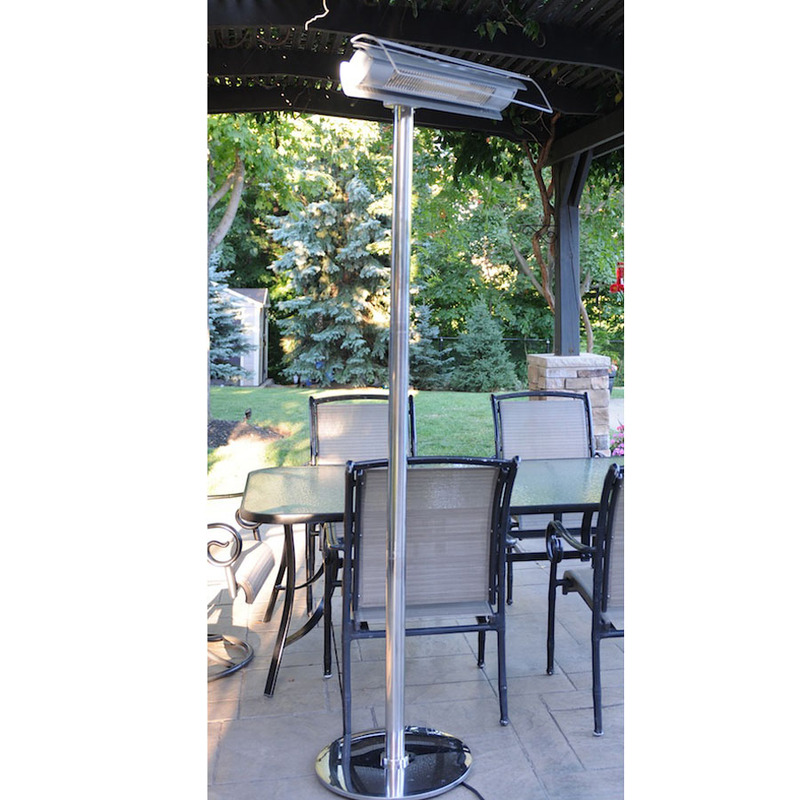 The heater is equipped with 15′ of cable with a standard 120V plug end. 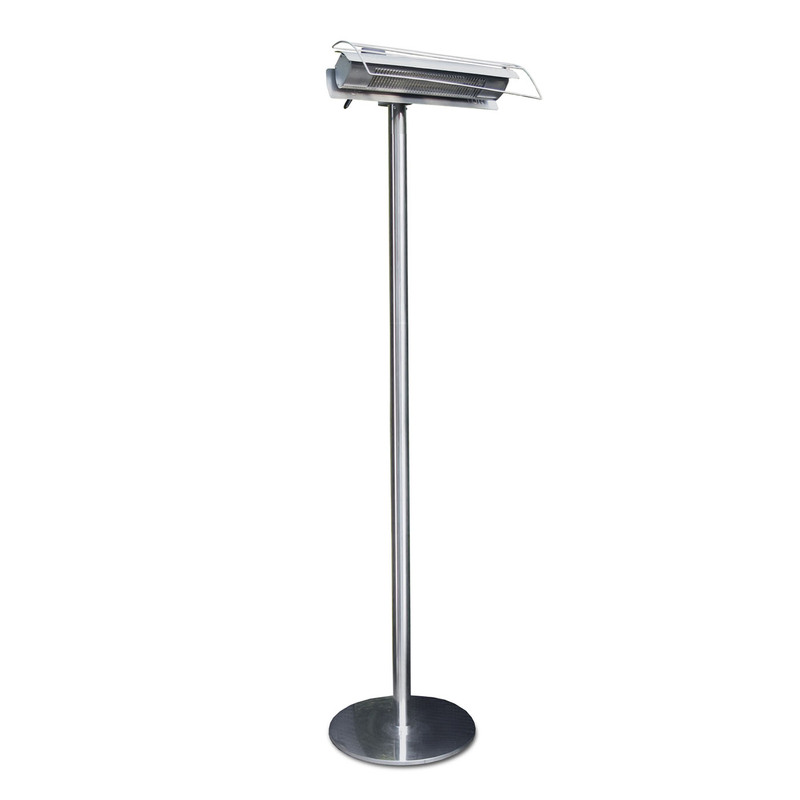 Attractive, portable, freestanding stainless steel design for convenience. All weather use, no need to be covered in wet environments. Covers 8′ X 8′ area.